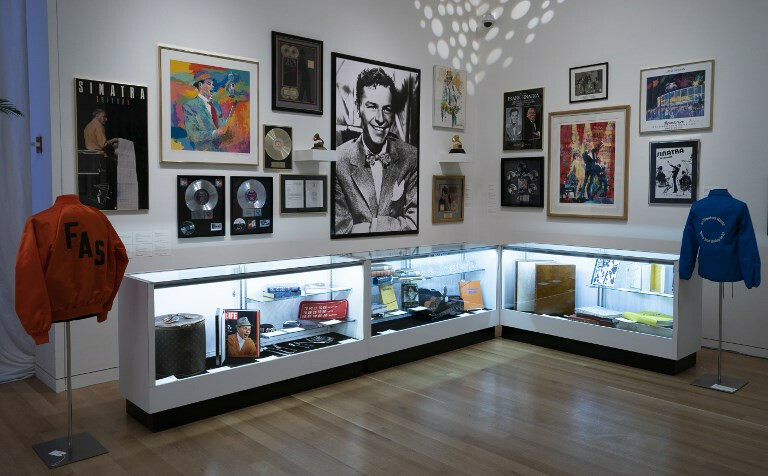 A sweeping range of Frank Sinatra memorabilia and jewelry owned by his fourth and last wife Barbara goes on sale in New York on Thursday, likely to be snapped up by mega fans and aficionados all over the world. The single most expensive lot, the enormous 20-karat diamond engagement ring that Sinatra gave Barbara in a champagne glass has already sold, fetching $1.7 million in a battle between two telephone bidders, Sotheby's said. The jewel was one of two the entertainer tossed on the bed asking the model to pick the one she liked the most, without actually proposing. "She said 'alright I picked the diamond, you pick which finger to put it on' and that's how it became her engagement ring," said Quig Bruning, vice president and jewelry specialist at Sotheby's. The sale includes scores of items dating back to the couple's 22-year marriage -- art and furniture from their homes in Palm Springs, Los Angeles and Malibu -- as well as scripts and screenplays. There are signed letters, books and photographs tracing Sinatra's friendship with every US president from Harry Truman to Bill Clinton, and a lettuce-leaf dinner service estimated to be worth $50-70,000. Lots include memorabilia of a private life well lived, a knitted "Frank" yarmulke valued at $200, the monogrammed orange flight jacket he wore on his private plane, and the USA Drinking Team jacket that he had made for nights on the town with his male friends, his version with "Coach" on the back. "With some of the memorabilia we have absolutely no idea because bidders can come from anywhere in the world, and that's what's so exciting," said Bruning. Some of the smaller items have attracted the most attention. A police badge given to Sinatra by Essex County New Jersey with the inscription "chairman of the board, Frank Sinatra" was valued pre-sale at $500-800, as already attracted online bids of $6,500. Also in the sale are paintings done by Sinatra himself, such as two colorful cartoon-style clowns valued at $8,000-12,000. "You get to see his life at home with his wife," said Mari-Claudia Jimenez, chairman of Sotheby's fiduciary client group. "It shows you a lot about him that you wouldn't know as a casual fan." She predicted wide-ranging interest in the sale. "We're going to see the mega fan as well as the serious collector of art who's actually interested in buying some of the works that he collected, purely because of the art," Jimenez told AFP. "I think he's one of these types of icons that has a meaning to every different generation, which is really unique." The son of Italian immigrants and born in New Jersey in 1915, Sinatra was an Oscar winning actor and one of the best loved entertainers of the 20th century with hits such as "Strangers in the Night" and "My Way." He first married teenage sweetheart Nancy Barbato (1939-1949), with whom he had three children, then Hollywood stars Ava Gardner (1951-57) and Mia Farrow (1966-68). He married Barbara in 1976. She died last year.